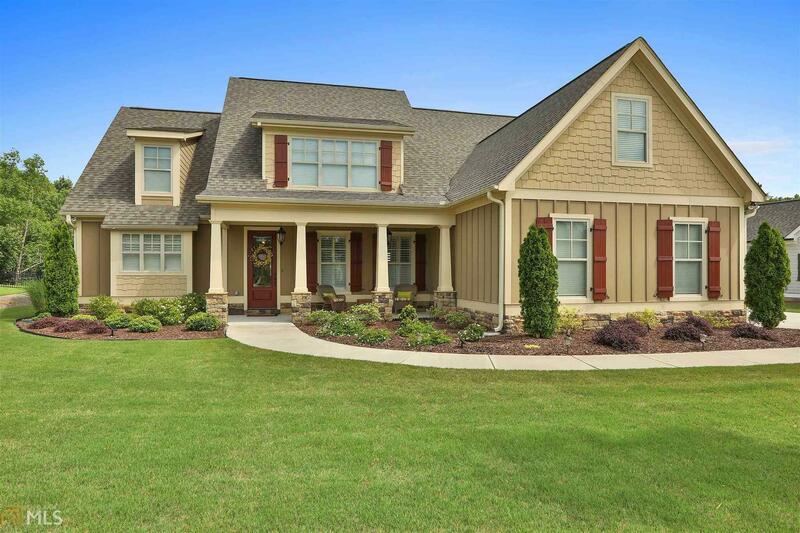 Highly Desirable &apos;Chris Gibson&apos; CUSTOM CRAFTSMAN in The Gates! Like new! Plantation Shutters thruout, porcelain wood-look floors, 9&apos; doors on main, stainless appliances including Thermador 5-burner gas cooktop & furniture-quality cabinetry w/expansive breakfast bar. Great room w/stacked stone fplc and gorgeous coffered ceiling+glass doors to inviting screened porch. Spacious owners suite on main w/double trey ceiling + large tiled bath w/heated flrs, 2 vanities, double octagon ceiling+lots of built-ins! Guest BR, main & full bath is a PLUS! 2 brs up...one could be a bonus w/closets. Also unf bonus+walk-in attic! Great storage! Don&apos;t miss the 4x8 storm shelter (under 3 car garage) + numerous upgrades thruout. Large fenced yd w/irrigation system. Must see! Directions: From Hwy 54 And 74 Intersection, Proceed South On Hwy 74 Past Light At Wilshire Pavilion. First Subdivision On The Right Is The Gates. Home Is On The Left, Second Home Past The Pool. Thanks For Showing!